Over here in California we've been getting a lot of rain. And even though I enjoy the colder weather, the east coaster in me misses seeing snowflakes. 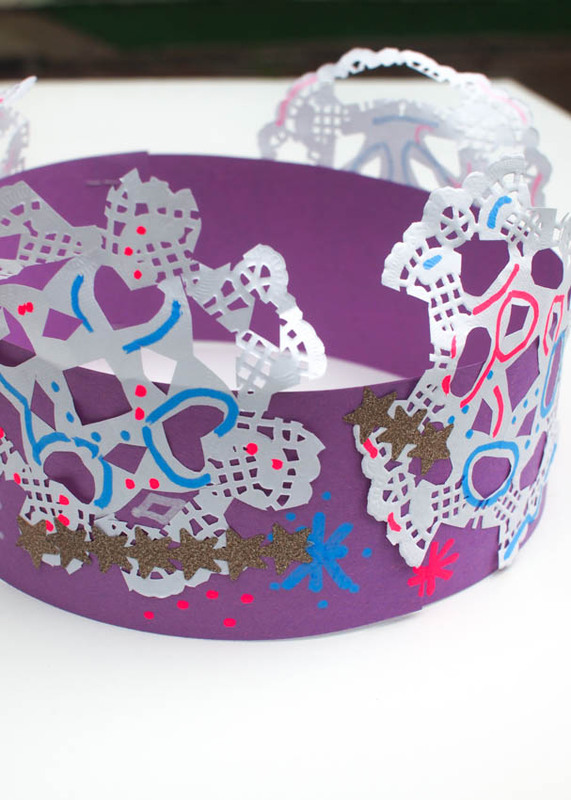 Today's Winter craft brings a bit of cold weather fun with these adorable snowflake doily crowns. This post contains affiliate links. Thanks for the grocery money! For my full disclosure policy, click here. 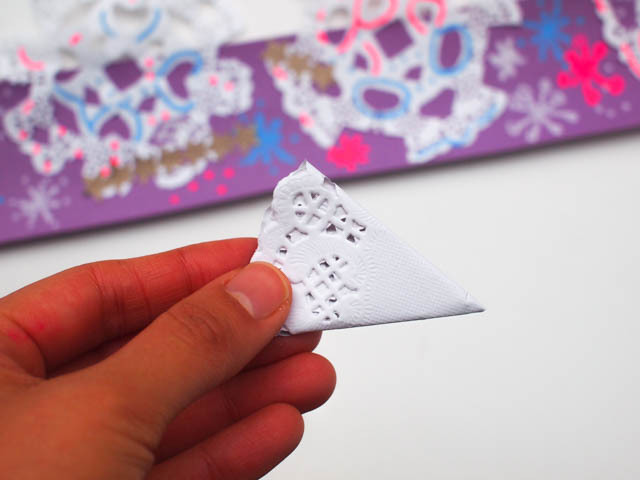 To make the doily snowflakes, fold the snowflake in half, then in half again, and then in half again until you get a wedge like this. Then, snip away little bits. Cut a piece of construction paper in several similar sized strips. 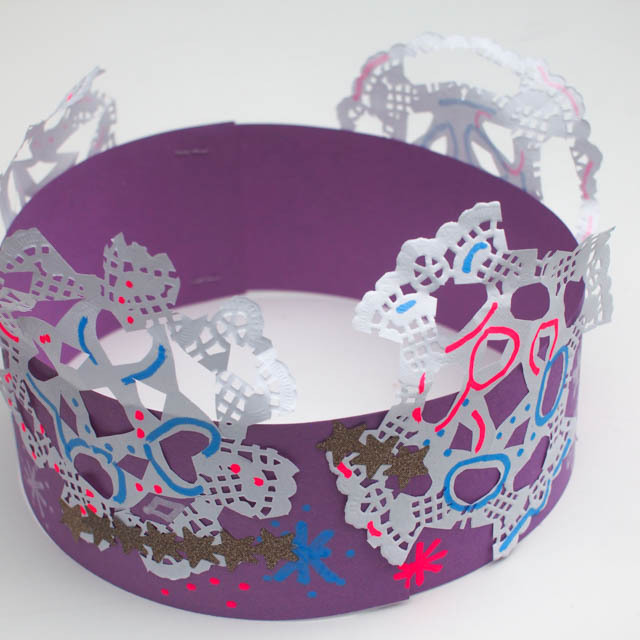 Staple them together to create a crown. 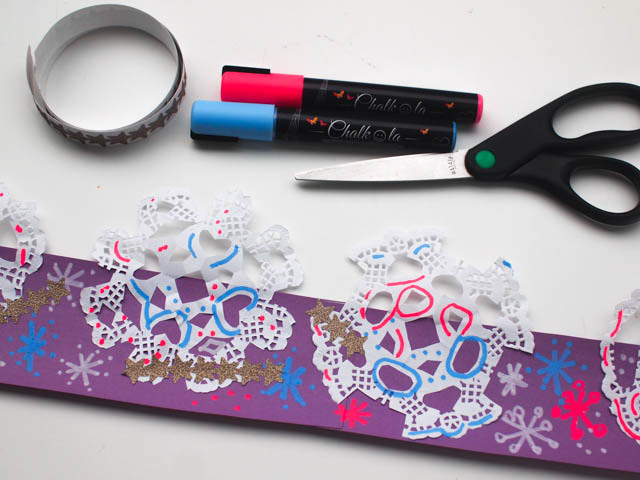 Open up the snowflake and glue it down (with a glue stick.) 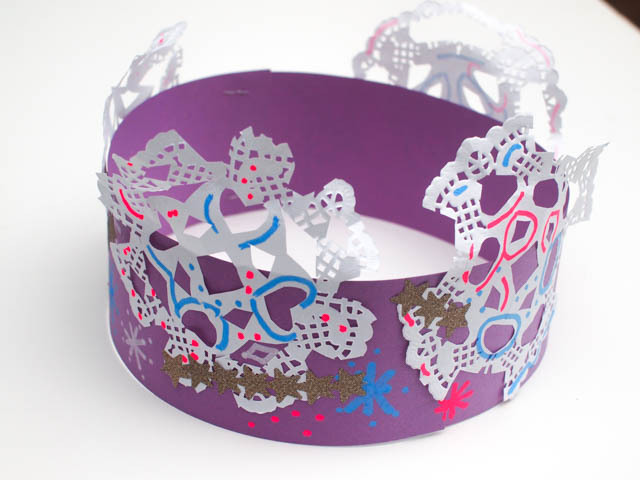 Then, grab some chalk markers and washi tape and decorate the snowflakes and the crown. Then, staple both sides of your crown together. Hope you enjoyed this snowflake craft!